This was published at the Guardian. The Arab world is undergoing seismic transformations, groping its way towards new, as yet unknown forms, throwing up works of art as well as bombs in the process. In the face of vast complexity, however, and in a time of war, our media’s first response is to dumb down. If the news media simplifies, literature, by offering social and psychological context, broadens and diversifies our understanding of the region, and particularly literature written by Arabs. (When Martin Amis or John Updike write about Arabs, they are of course writing about themselves, their own ideas of how Arabs tick.) The reading public seems to know this. Recent years have seen an increasing demand for Arabic writing in English translation, though Europe still translates far more. So the publication of “Beirut 39” ­– 39 extracts by Arab writers under 40 – is a timely and worthwhile initiative. The 39 are winners of a contest organised by Banipal magazine and the Hay Festival of Literature, and the book’s name honours UNESCO’s World Book Capital for 2009. 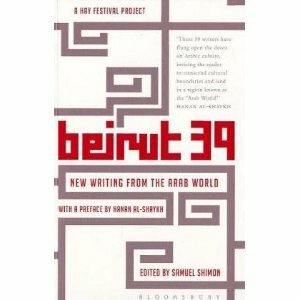 “Beirut 39” contains short stories, novel extracts and a few poems, often brimming with exuberant confidence and sparkling with innovation. The quality of translation ranges from acceptable to excellent.